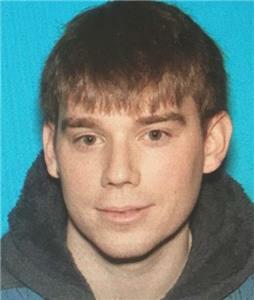 Travis Reinking, 29, the suspect in the shooting at a Waffle House near Nashville on Sunday, has been taken into custody, according to police. Reinking, who killed four people and injured two others at a Waffle House near Nashville on Sunday morning was on the loose Monday morning and had been added to the Tennessee Bureau of Investigation's ‘Top 10 Most Wanted’ list. By Monday afternoon, he had been located in a wooded area near an apartment complex where he lived. The arrest came after police received a tip on his location. Reinking was carrying a backpack that contained a handgun and ammunition, it was stated. Reinking, 29, of Morton, Il., and was arrested last year when he was in a restricted area at the White House in Washington, D.C.
Reinking was wanted by the Metropolitan Nashville Police Department and the TBI to face charges, including counts of criminal homicide. Police said the toll would likely have been higher at the Waffle House except that a 29-year-old customer was able to wrestle the AR-15 from the shooter while he was reloading.